Online Helicopter Ticket Booking for Phata-Kedarnath-Phata. For Further Detail You can Contact Us on 888 222 44 22, We Would be Happy to Assist You. Kedarnath Helicopter Services for 2019 has now been started by Triptochardham. Kedarnath Helicopter service operates from helipads at Phata and several other places including Guptkashi, Sersi and Sitapur. 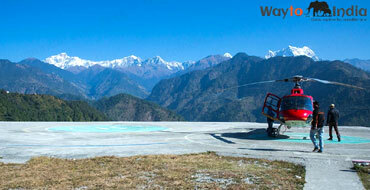 Kedarnath Helicopter services online booking is being provided by Triptochardham.com since the year 2012. 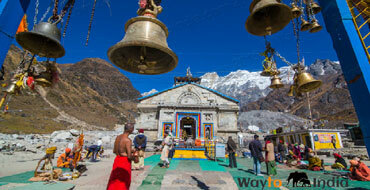 Kedarnath, one of the 12 Jyotirlingas of Lord Shiva is located at a height of 3553 Mtr above mean sea level. The temple is believed to have been built by Pandavas of Mahabharat fame and was revived by Adi Guru Shankaracharya. How to reach Kedarnath by helicopter? Reaching the temple is a bit difficult owing to the high altitude area. 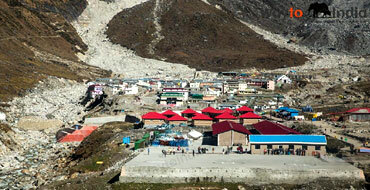 Those who wish to visit Kedarnath hate to drive upto Phata or Guptkashi where the helipads are located. 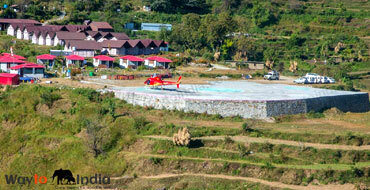 From these helipads, Kedarnath Helicopter services operate. 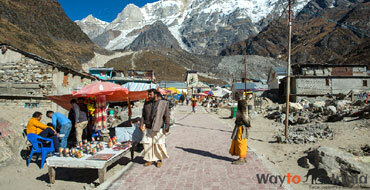 Other than this, the Yatris can also drive further upto Gaurikund for trekking to Kedarnath also. The trekking being difficult, Triptochardham has been providing Kedarnath Helicopter Booking Online to facilitate the Yatris in securing their Kedarnath helicopter tickets. Several thousand Yatris have done their Kedarnath Helicopter booking online through the Kedarnath Helicopter Services Booking provided by Triptochardham. 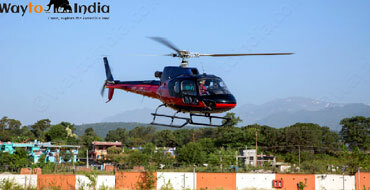 You too can book your Kedarnath helicopter services tickets online from the comfort of your home. Is the process of Kedarnath Helicopter Services online booking simple? 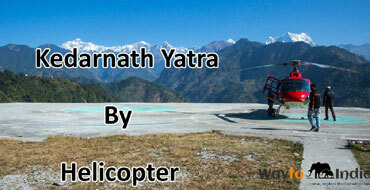 The Kedarnath Helicopter Services Online Booking process is simple and comfortable. Even if you are booking the Helicopter tickets for Kedarnath for the first time, you can watch the video and book your Helicopter tickets for Kedarnath without any difficulty. What are the different payment options for Kedarnath helicopter services booking 2019? Kedarnath Helicopter booking online can be done with ease using most of the available credit and debit cards as well as through net banking facility. The Kedarnath helicopter booking 2019 is safe and secure as all payments are done through 100% secured EBS payment gateway. What if I am facing difficulties in online booking of Kedarnath helicopter services? Although helicopter booking for Kedarnath is being provided online to facilitate the Yatris, please note that operation of helicopters in Kedar Valley is dependent upon prevailing weather conditions. 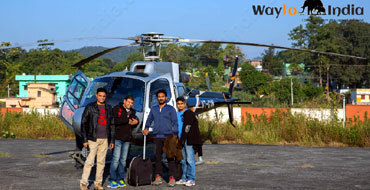 Hence, the Yatris may be required to wait at helipad for several hours also. Phata Kedarnath Helicopter service is being operated by aviation partners and Confort Connections Pvt Ltd is only a booking agent(through its website triptochardham.com) and is only liable for the amount of ticket fixed by the government. In case of any cancellations for any reason whatsoever, and subject to the Cancellation Policy, the liability of Comfort Connections Pvt Ltd shall be limited to the cost of ticket fixed by the Government.In no case would any booking fee or service charges be refundable whether or not the Yatris have been able to fly or not. In case due to bad weather there are cancellations, no accommodation or meals shall be provided to the Yatris and they would have to manage the same at their own cost. we strongly suggest that before booking your provisional tickets through Kedarnath helicopter booking service, please read all the Terms & Conditions of booking and only book if the same are unconditionally acceptable to you.